Twin Lens Life ~ Fine Art Film Photography ~ Los Angeles Southern California ~ Bwright Photography: "The way of the future" High ISO film test pt.2 - 500T vs. 800z & 400h! "The way of the future" High ISO film test pt.2 - 500T vs. 800z & 400h! Within the last year digital has made great leaps in high ISO capabilities. But unbeknownst to the world outside of hollywood, film has been making it's own advances well into it's supposed afterlife. 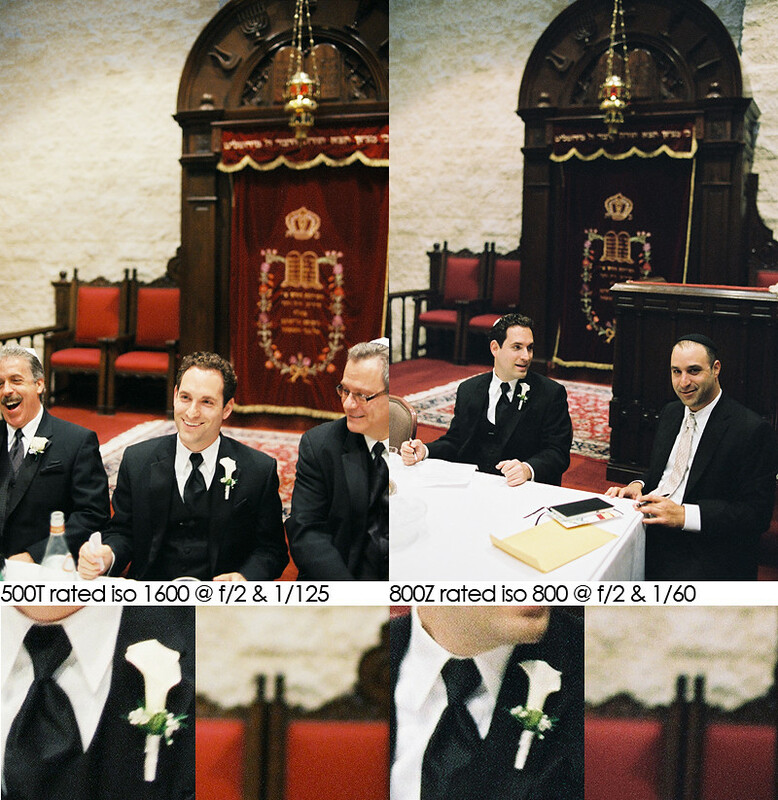 This is part 2 of our Kodak Vision 3 500T motion picture film test. For part 1 we set up a controlled study, which can be viewed here. 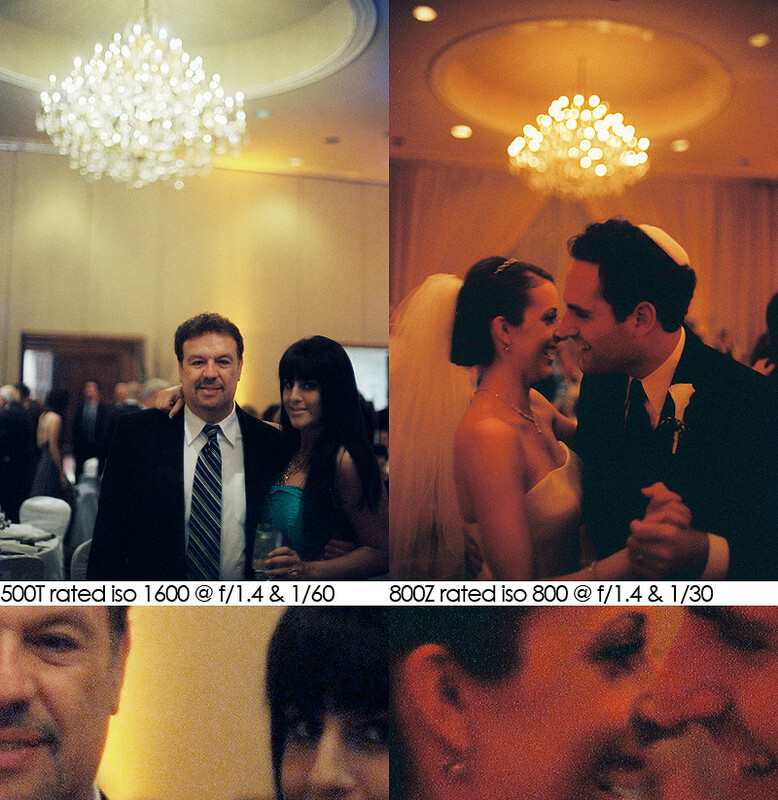 This time we brought our Nikon F3 with 250 exposure MF-4 back to a wedding. Most of the day was to be very low light photojournalistic coverage of a traditional Jewish wedding (full real wedding post coming very soon!). 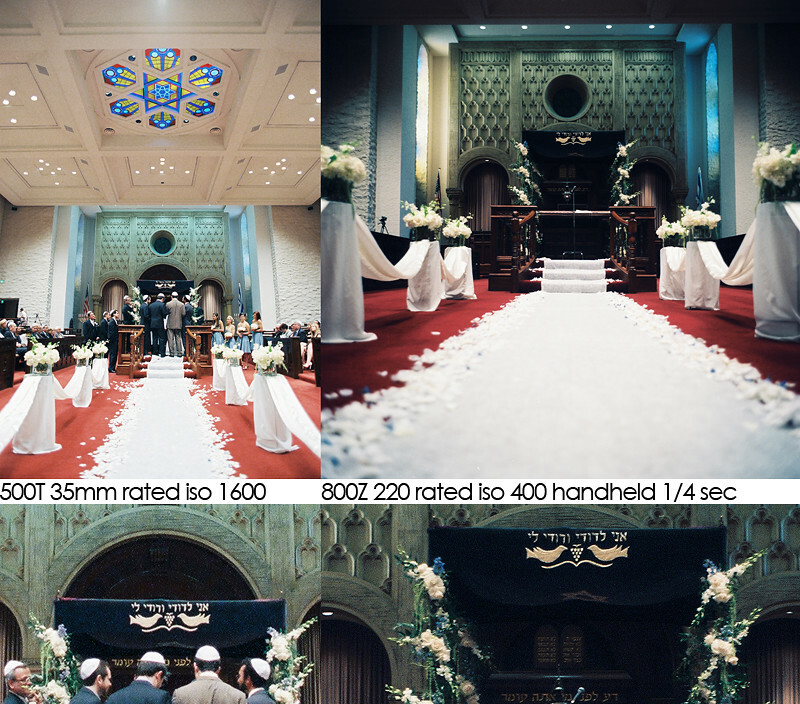 We shot the 500t along side our Nikon FE-2's, range finders, and TLR's and the results are amazing! We had the ECN-2 film processed by Technicolor here in Hollywood, and I scanned all of these samples on our Fuji Frontier with no post-correction in the computer. This is the honest truth! First off, during preparations we shot some 400h in the lobby of the hotel. We usually overexpose our 400h by a stop. But the 500T? no need. One under is just fine! 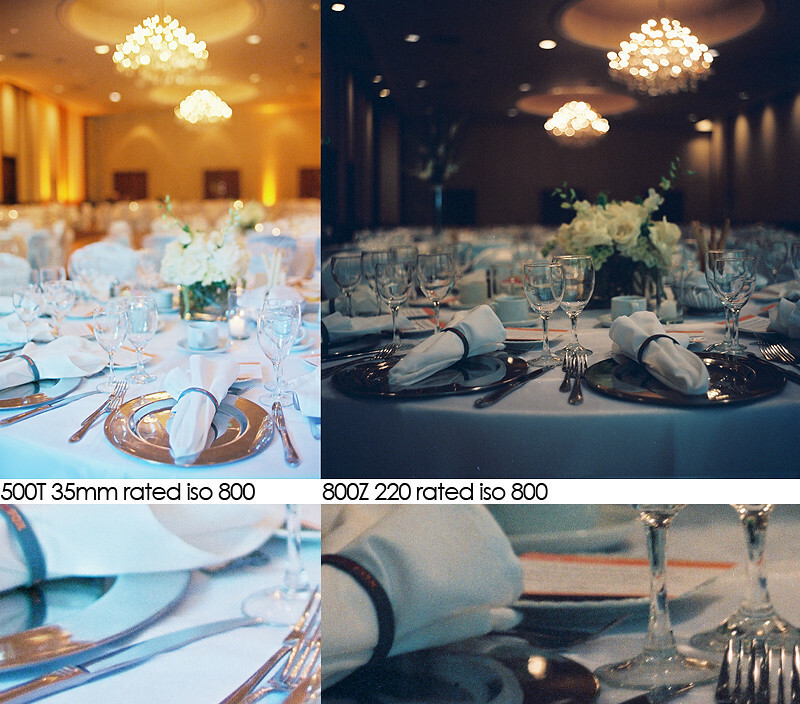 The 500T in 35mm holds up against medium format, could you image 500T220? 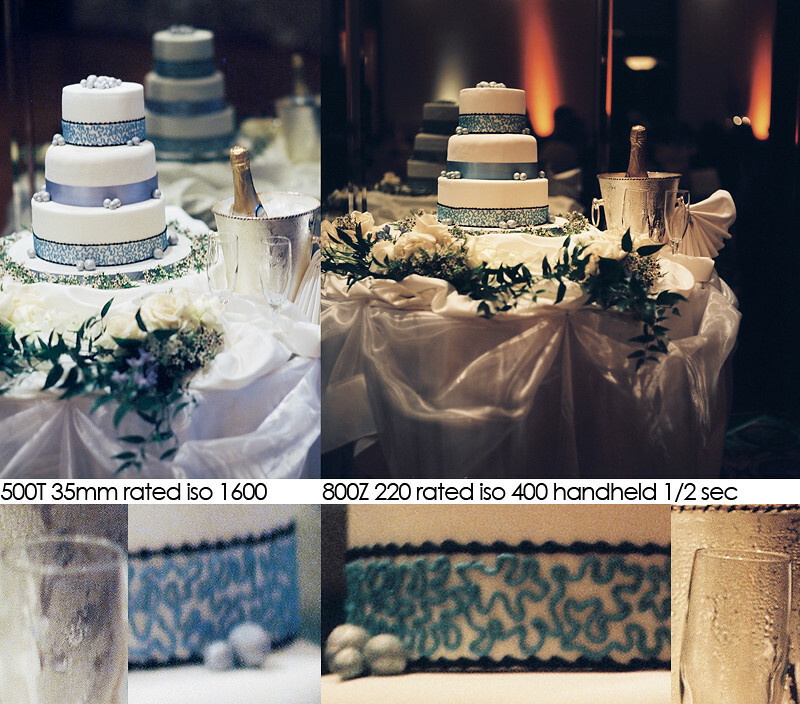 The exposure difference under the altar was 3 stops and change. Look at that DR! This bulk back came in super handy through all the events leading up to the ceremony in this low lit temple. This shot was taken during the day with window light metered off of the table. The most amazing thing is the versatility of this film. All temperatures of light and extreme under and over exposure produces acceptable images. But 800z does have a look all it's own. Really beautiful! I love the look of the 500T. Simply amazing! Sign me up, guys!!!! Also, your innovations are among the best. The only lab in the nation I'm aware of that will process individual 35mm 36 exposure rolls of ECN-2 Vision3 film is http://www.thecamerashop.com and they have their own modified C-41 process they do. It's something like $7.50 a roll and turn around is 2 weeks. Call or email them for more info and pricing!